Christmas is in the air with Karla! 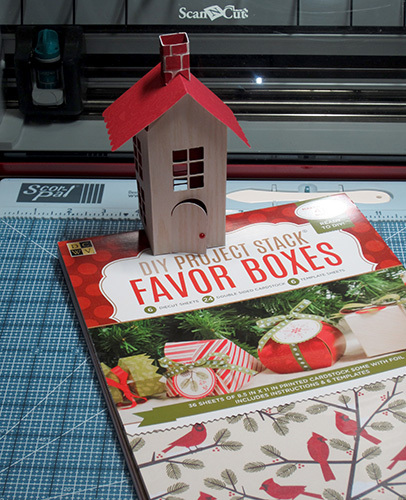 I would like to show you how I made this little holiday house with the new DCWV DIY Favor Boxes Project Stack (Christmas edition!). If it's not there already, this will be in you local Jo-Ann Fabric and craft store soon!!! 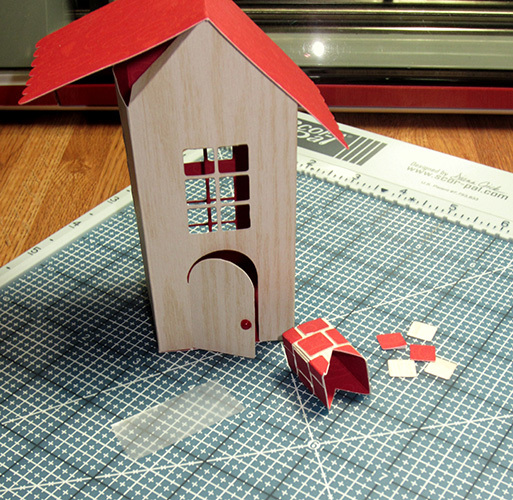 I scanned the house favor box template into my Scan and Cut and saved the file. Then I loaded the mat with the paper I wanted to use and...voila! A beautifully cut house! The scanned image showed a few imperfections, but I decided to try it anyway and the imperfections were really minuscule. The scanned image was hyper detailed. I'm glad I tried it anyway! 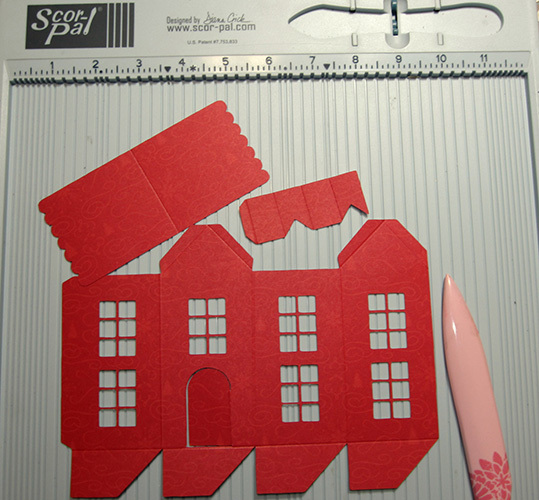 I used my Scor-Pal to crease the chimney and top of the house as indicated on the template. I then folded them using my bone folder. I used Scor-Tape to secure it all together because I know it will hold. Since the paper in the stack is double sided, I used the squares that were cut out from the windows to embellish the chimney and make it look like it was made out of bricks. I used a red pearl for the door knob. I attached the chimney to the roof using a piece of clear tape. I folded the tape inside the chimney like a 'U'. The sides of the 'U' are stuck to the inside walls of the chimney. 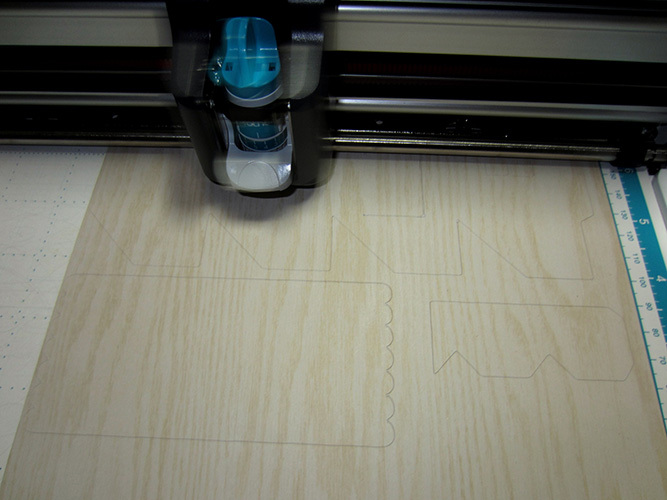 The outer bottom of the 'U' is the sticky part of the tape and that is where it attaches to the roof. I find this allowed the roof to open a little wider. It allowed more flexibility where the chimney joins the roof. I needed it to be wide enough to put an electronic tea light inside. I'll be using it as a Christmas decoration because having decorations that are not breakable is important when you have a one year old. 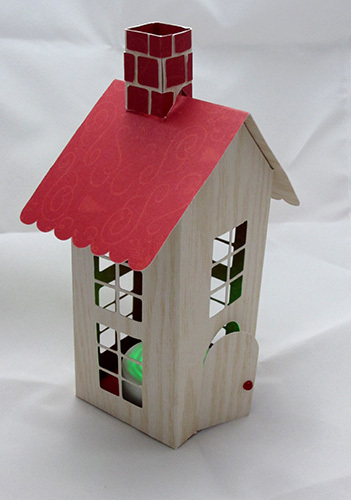 This doesn't have to be a favor box, It can be an electric tea light holder, a tree ornament or part of a Christmas village scene. 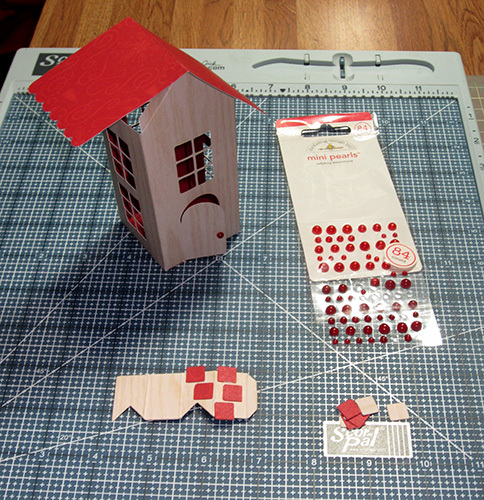 And made with different DCWV paper, wouldn't this look beautiful as a spring house? Or a Valentine's house? Or a haunted Halloween house just like I used it here? What would you make with this house pattern?